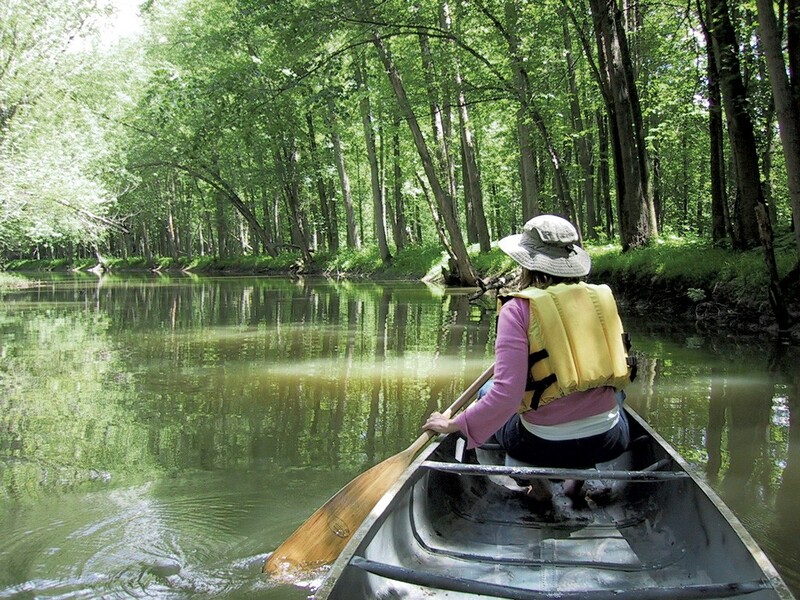 Paddling the LaPlatte | Fit Families | Kids VT - small people, big ideas! I was born and bred every inch a sailor. For me, it doesn't get much better than messing about in boats. But the tides turned when I married my husband Carlton, a landlocked, Colorado buffalo of a man. Suddenly, I found myself choosing hiking trails over hiking out over a hull. Still, we've tried to get out on the water. We christened our canoe Scout — a wedding present from my brothers nearly 13 years ago — and gamely explored Green Mountain waterways. That is, until Carlton's monogrammed wooden paddle (another wedding present) snapped in half during an ill-fated expedition on the Lamoille River. We joined lightning sailboat race crews on Lake Champlain and eventually signed up our kids, Dillon and Harper, for sailing lessons. Last year, we even bought a powerboat. We called it Snow Goose, not realizing that our goose would be cooked in less than 12 months. Schlepping all our stuff onto the boat, tooling around and schlepping it all back home again proved tedious, and our active bodies craved something more. So this March, we put the powerboat on the market. By late April, having said goodbye to the Goose, we cast about for a Sunday excursion, deciding to dust off Scout, along with my stand-up paddleboard, and check out the flooded LaPlatte River, a waterway I'd often ignored in favor of more expansive excursions on the lake. We chose to launch from Shelburne Bay Park, where I'd typically ride the river down to Lake Champlain. As soon as we turned the other direction and headed up river, however, I was happily examining a new water world, crouching under the Harbor Road bridge to discover grasses and trees partly submerged in water. I later learned from the Lake Champlain Land Trust, a member-supported conservation organization, that these 150 acres of marshes and floodplain forests — which are owned and maintained by the Nature Conservancy — "are regularly flooded when the lake level rises and are inhabited by plant species that can endure these wet conditions." According to the Trust, some 60 species of birds; 50 species of reptiles, amphibians and fish; and 20 mammal species inhabit this area. But we didn't see too much activity as we headed up the LaPlatte, which snakes 16 miles between Lake Iroquois and Lake Champlain. So we created our own action, leisurely paddling in between trees and darting past floating logs. We exchanged pleasantries with other paddlers in kayaks, watched a light breeze blow across the river and lost track of time exploring beaver dams. The trees eventually grew thicker, and then we stumbled upon a duck squawking vociferously to protect a nest of ducklings. We let her be and moved on. By now, our arms were pleasantly tired from paddling, so we decided to turn around and head back to our truck. And, after such a sublime spring canoe trip up the LaPlatte, we agreed that it doesn't get much better than messing about in boats. Visit the Lake Champlain Land Trust website — lclt.org — for more information. 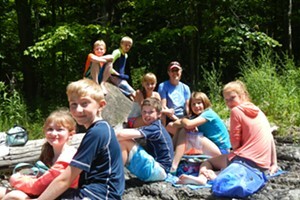 Learn more about the Nature Conservancy at nature.org/vermont.